Lake Orta, The alpine Lake of Italy in Piedmont, is 13,4 km long and 2.5 wide, a jewel set in the green of the Piedmont mountains and woods, the quieter little cousin to majestic Lake Maggiore. The lake shores are studded with picturesque villages and charming little harbors which tell the story of Lake Orta’s inhabitants, fishermen and country folk of past times. Today they tell contemporary tales of sail boats, motorboats, sport and quality international tourism. 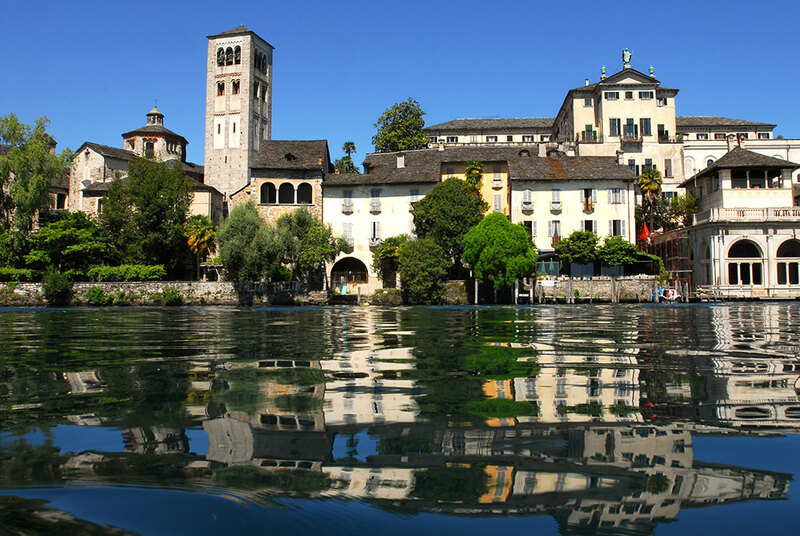 Lake Orta is an ideal destination for families, couples seeking a romantic place to chill out, sports lovers of the extreme and softer kind, the young and not so young who love nature and its unmistakable energy. Let’s take a quick virtual trip together round the villages on the banks of the lake, starting from the small town of Omegna, the main urban complex at its northern-most point with its pretty lakeside promenade and colorful street market each Thursday, and then along the eastern shore. We will now arrive at Pettenasco, an ancient village that has developed in more modern times with a number of hotels, restaurants, bars and camping-sites along its lakeside walk and main road. From the northern end of the village, the views fade out towards the island of San Giulio while the southern end overlooks the calm countryside of the peninsula which is home to both the UNESCO site of Sacro Monte and the village of Orta San Giulio.